Bath was made a World Heritage Site in 1987 for its "Roman architecture, 18th century town planning and its role as a setting for social history inspired by its hot springs and natural landscape setting”. 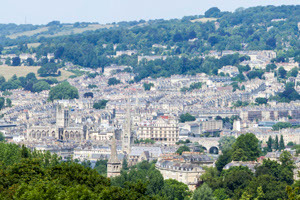 The waters of Bath have been used for centuries for health benefits. The Romans developed the Baths and later it became very fashionable in Georgian times, not only for the health benefits but for the social life and 'parading' as Jane Austen would say. It is a wonderful city to explore the traditional way - on foot! 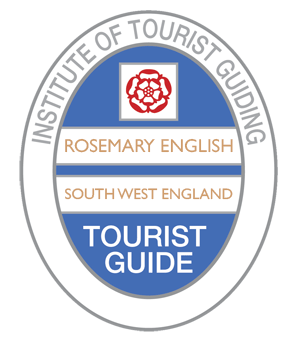 This comprehensive 2 hour tour will take you from the site of the old Roman city and springs, to the Roman Baths and Pump Rooms, to the west front of Bath Abbey and its churchyard. It will then progress through to the 18th century Palladian architecture of the Royal Crescent, Circus and Assembly Rooms, for which Bath is famous. The tour ends at Pulteney Bridge from where you might choose to visit the art gallery, museums or shops. This is a shorter tour mostly within the area of the old city, designed for those who may prefer not to walk uphill to the 18th century area. 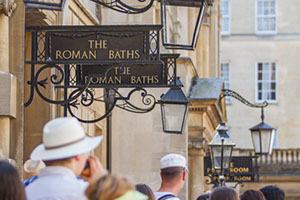 In this tour you will visit the Cross Baths and Spa area, the Roman Baths, Pump Rooms, the Medieval west front of Bath Abbey and the Abbey churchyard. You will also see the famous Sally Lunn’s Teashop, Orange Grove and the Grand Parade area, from where you will view Pulteney Bridge. When the tour finishes you will be well situated to visit the Victoria Art Gallery, the Holburne Museum, or the inside of the Roman Baths. 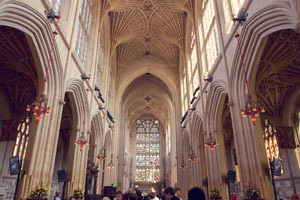 This tour concentrates on the 18th century area for which Bath is so famous. 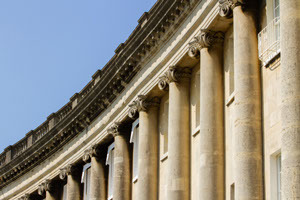 You will be taken directly to the Royal Crescent, Circus, Assembly Rooms and Queen Square to enjoy the superb symmetry of Palladian Architecture and see the world renowned work of John Wood the Elder and John Wood the Younger. Here you will learn about how this all came about, when each site was developed and why it was designed in this way. When the tour finishes you will have the opportunity to visit No. 1 Royal Crescent, which is run by the Bath Preservation Trust. This was the first house to be built in the Royal Crescent and each room is an exquisite example of Georgian interior design, with authentic furniture, paintings and textiles. All tours can be extended to include an optional refreshment break. 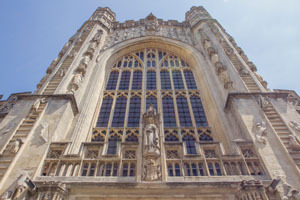 Specific tours can be given of The Victoria Art Gallery, The Roman Baths or Bath Abbey. Tour choices available can include The Herschel Museum of Astronomy; Jane Austen’s Bath ; Admiral Nelson’s Bath; The Palladian Crescents of Bath.